Manufacturer of a wide range of products which include clutch wallets, designer clutch wallets, ladies clutch wallets, leather ladies clutch wallet and leather clutch purses. Description :This classically designed accordion leather ladies clutch wallet from columbus collection is perfect for own use or as a gift for someone special. 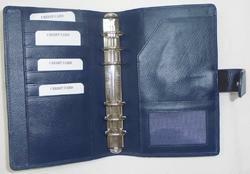 This accordion design has plenty of room for all your important credit cards, identification cards and money bills. 4 credit card slots 1 id/photo window zip coin pocket 4 full length bill compartments 1 stud closure full length bill compartment stud press closure. complimented with reverse debossed “C” logo on the top. The accordion opening invites quick and convenient access. Description :Open up this smooth zippered leather travel leather ladies clutch wallet to reveal all the useful slots and compartments. 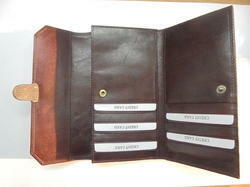 6 credit card slots 2 separate compartments slip in sections 2 full length bill compartments a leather pen loop in the center a full size zip pocket is also inside. complimented with reverse debossed “c” logo on the top. Description :This luxurious design office leather ladies clutch wallet has all the important credit card and identification slots. Ladies can easily put her small important papers inside the full zipper compartments and the rich italian leather body provides a great smooth hand feel and an elegant look usually preferred by ladies. leather made in italy same leather used outside & inside 6 credit card slots, including 1 ID window expandable zipper pocket on the back 2 slip in sections 2 full length bill compartments snap closure “columbus” woven fabric lining inside YKK zipper and puller complimented with reverse debossed “C” logo on the top. 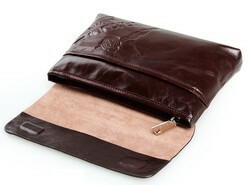 Description :This leather ladies clutch wallet is the all in one leather wallet you have been looking for! The longer design has plenty of room to hold basically everything you need. Change can be stored in a convenient zippered pocket. 12 credit card slots 1 id/photo window 3 slip in pockets 1 zip enclosed slimline compartment 2 gusseted bill compartments an additional zippered pocket in the back gold press-studs closure full. Complimented with reverse debossed “c” logo on the top. 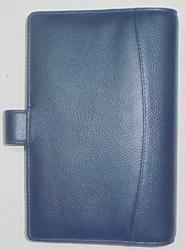 Description :This slim leather ladies clutch wallet is a perfect size to fit all your daily essentials. Supple and soft leather body on the outside and inside, provides a great handfeel. Same leather used outside & inside 14 Credit card slots 1 Id / Photo window 4 slip compartments A center zipper compartment “Columbus” woven fabric lining inside YKK zipper and puller` Complimented with reverse debossed “C” logo on the top. 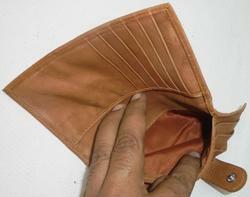 We are offering Leather Clutch Purses to our client. 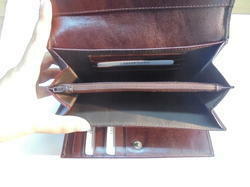 Looking for Leather Ladies Clutch Wallet ?